For a more modern look and feel around the office, our stainless steel clock signs are of the highest quality. Manufactured from a marine grade stainless steel with a brushed finish. 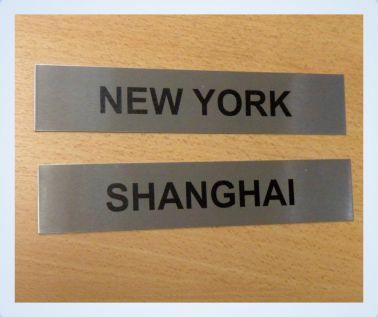 Lasered Stainless Steel Clock Signs can be supplied with 2 or 4 screws, self-adhesive or without any fixings. Our Lasered Stainless Steel Clock Signs are manufactured from 316 (marine) grade. This Stainless Steel is an extremely durable material that is resistant to scratching, it will not tarnish or rust and requires minimal maintenance.